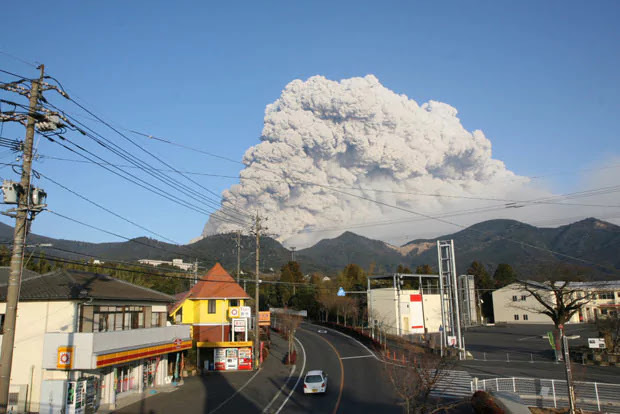 The Meteorological Agency has raised warning levels against volcanic eruptions by one notch for the Shinmoedake peak in the Kirishima mountain range on the border between Kagoshima and Miyazaki prefectures. The agency took the step late Thursday night, saying it issued a Level 2 warning for Shinmoedake in light of a recent series of small volcanic tremors observed in the area. A Level 2 warning restricts entry to areas near the mouth, while a Level 1 warning only tells the public the existence of a volcano. Level 5, the highest alert, urges people to evacuate. According to the agency, 12 tremors were observed on Shinmoedake on Sept. 23, and 39 on Oct. 4. The number continues to rise. Given the developments, small-scale eruptions could occur soon, and rocks could be spewed within a 1-km radius from the mouth, the agency said. The agency lowered its warning level from 2 to 1 on May 26 after signs that volcanic activity had subsided.